“I have a great job because I make people happy!” Indeed, licensed massage therapist Willa Bepler really does know a lot about making people happy. By helping her clients relieve stress and other sources of negativity, Willa guides them towards richer and happier lives. But she didn’t always know she wanted to become a massage therapist. Although all her life, Willa knew she wanted to go into a service-oriented profession where she could heal others, it wasn’t until her graduate years that she found her specific calling. When it came time to decide which field to go into, Willa gravitated towards the hands-on and personal aspects of massage therapy. 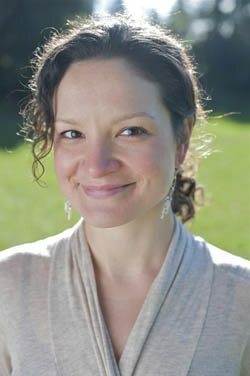 In her work at Massage with Willa, she puts her intuition and healing skills to good use by making sure to tend to clients’ individual needs. At the end of the day, Willa provides a safe space for clients to unload emotional baggage as they heal physically. Willa leads by compassion and awareness. She combines her knowledge from years of healing experience with attentiveness to clients’ individual goals. Through a listening ear and healing touch, Willa helps her clients to do more than just de-stress. She relieves pain, releases tension, and relaxes tired and overworked muscles. Clients leave sessions with mental clarity, fresh vitality, and a rejuvenated body and mind. Her healing work enables clients to refocus their attention on their personal needs. This attentiveness fosters emotional healing through a deeper appreciation for simplicity and inner peace. Once her clients’ emotional clutters are cleared, clients can refocus their attention to their aspirations, however big or small. Willa hopes to expand her business over time while remaining service-oriented and maintaining personal connections with her clients. For her, each healing session is an opportunity to share her gifts in productive and beneficial ways. The feedback is immediate, with clients raving of her calmness, nurturing abilities, and deeply relaxing sessions. Willa’s massage therapy helps address a wide array of different health issues, from insomnia to anxiety to physical injuries, while remaining accessible to the client who just wants a few minutes to relax and unwind. This accessibility is one of Willa’s trademarks and something that sets her apart from other healers. As Willa expands her business and further spreads her gifts, she remains set on “[making her clients feel] calm and safe and better” and providing “a place for clients to go to unload and take time for themselves.” Knowing Willa, it’s safe to say she will remain a wonderful healer while expanding her work’s reach.